HAMILTON, Bermuda--(BUSINESS WIRE)--Signet Jewelers Limited (the “Company”) (NYSE: SIG), the world’s largest retailer of diamond jewelry, has been recognized for its corporate social responsibility and sustainability efforts by being named as a component of the FTSE4Good US and Global Indices in 2017. Signet joins this group of other publicly traded companies with strong environmental, social and governance (ESG) practices. “Signet is proud of our commitment to reducing our energy consumption and raising our efficiency levels across our business. 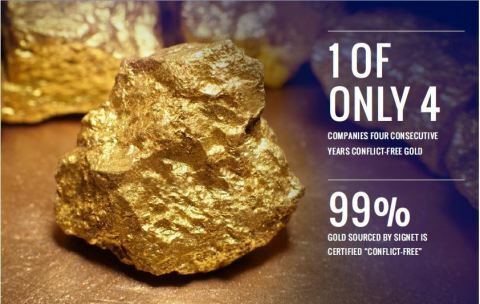 Our responsible sourcing efforts have lead the industry as 1 of 4 US companies to have reported a conflict-free gold supply chain for 4 consecutive years,” said Lynn Dennison, Chief Legal, Risk and Corporate Affairs Officer at Signet Jewelers. This year marks the 15th anniversary of the FTSE Russell’s ESG Index, FTSE4Good. Investors around the world use the indices as indicators to determine if investment funds and other products are socially responsible and engage in ethical activities. According to FTSE Russell, the last 15 years have brought a measurable shift in the investment landscape. The inclusion of ESG factors in investment decisions has evolved from a niche concept to a core investment strategy among many asset managers. 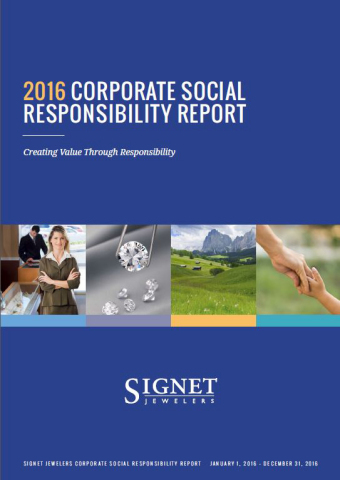 Signet Jewelers’ tradition of corporate social responsibility has always been about doing the right thing for all of our stakeholders. This is a part of our Core Values. We firmly believe that CSR makes our business stronger and more sustainable over the long-term. Signet has been recognized for its CSR and sustainability efforts by being named as a component of the FTSE4Good US and Global Indices in 2017.